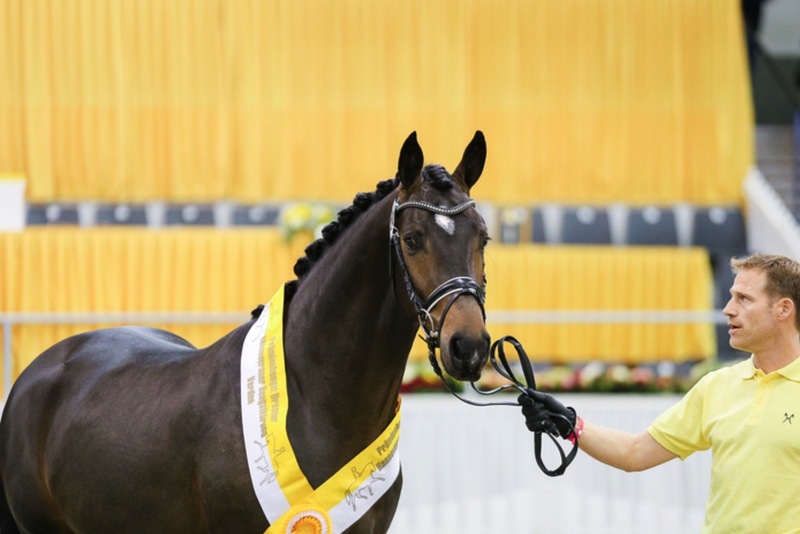 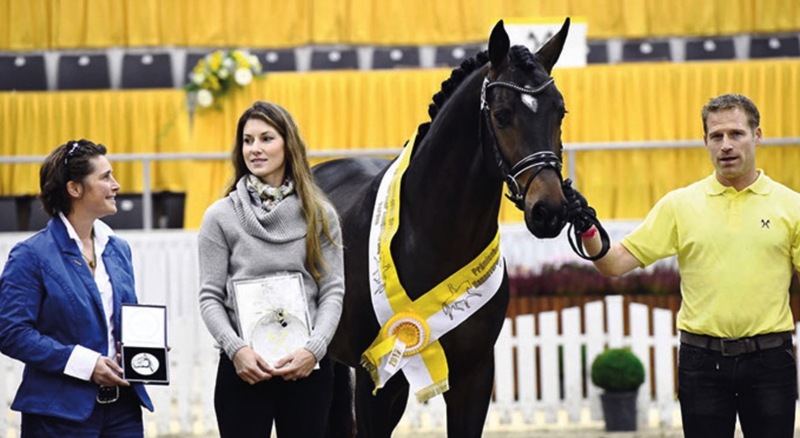 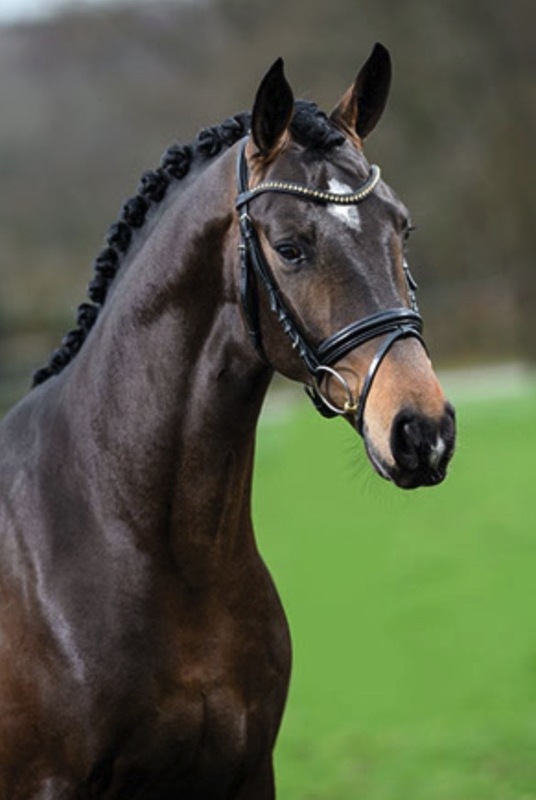 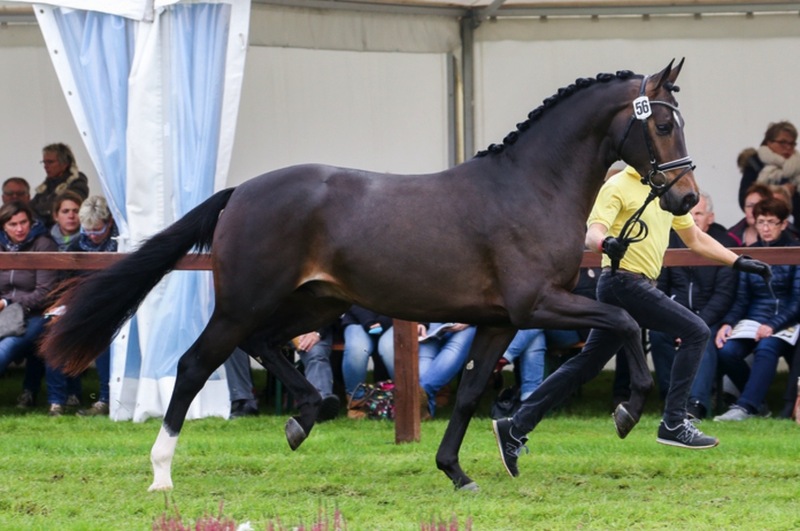 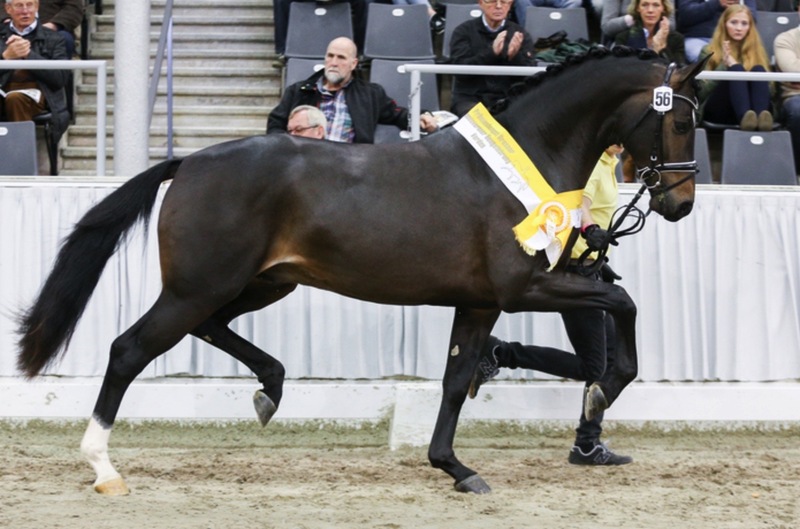 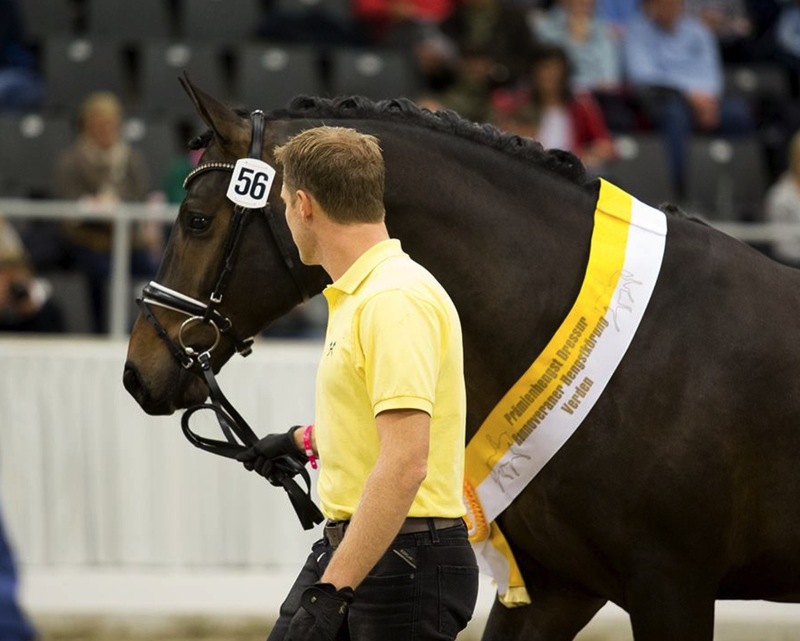 Escamillo bay Rhineland Champion stallion, by BundesChampion Escolar/Rohdiamant/De Niro, born in 2015, standing approximately 167 cm or 16.2 hands. 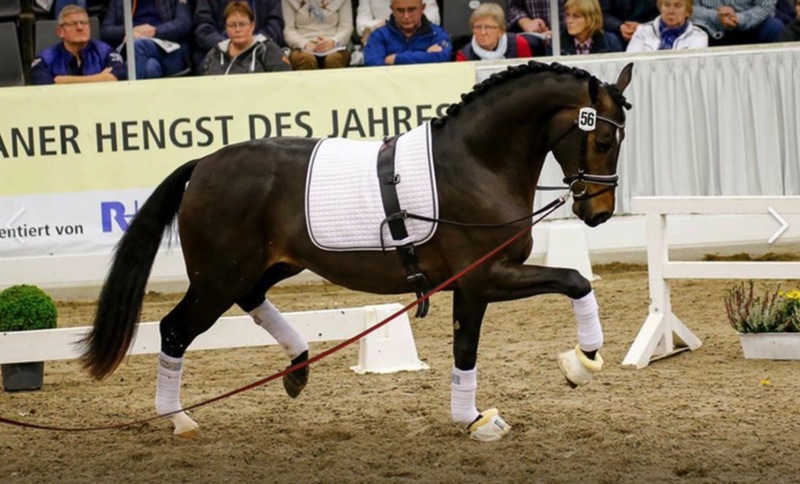 Escamillo finished his 14 day stallion test with overall 9,08 dressage score. Highest dressage score of the 3 year old stallions!! 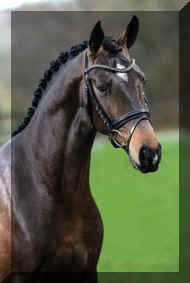 Highlights were 9,5 canter, 9,5 from the test rider and 9,0 trot.